Divination was considered as one of the most important kinds of art (technai—arts, skills, crafts) among the ancient Greeks, second only to medicine, given along with fire to humans by Prometheus (Aeschylus Prometheus Bound 484-99). 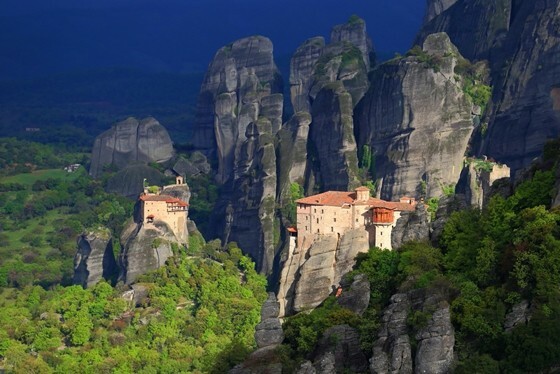 Early Homeric and Archaic sources such as Homer (Iliad 22.126-8, Odyssey 19.163), Hesiod (Theogony 35) and Herodotus (2.52.2 ) echoed stories of oracular consultation at Dodona and Delphi, whereas the phrase ‘of the oak or the boulder’ (peri dryn i peri petrin) was an allusion to the oracular power of these two sites. The former alluded to the Dodonian oak trees whose rustling sounds were interpreted by the Selloi, the barefoot priests of Dione and Zeus at the oracle of Dodona. 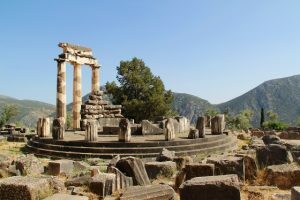 As for the boulder, it alluded to the navel stone (omfalos) at Delphi, upon which the Pythia was seated while giving her oracular consultation. 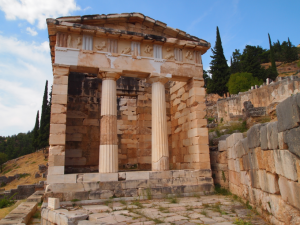 The oracle of Delphi (christirion Delfon), located under Mt. 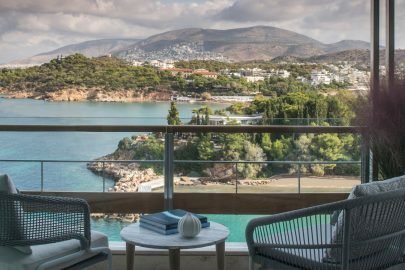 Parnassos, high above the north shore of the Gulf of Corinth, in the valley of Fokida, echoes stories of oracular divination for the course of future events of individuals as well as of states for more than 1000 years. 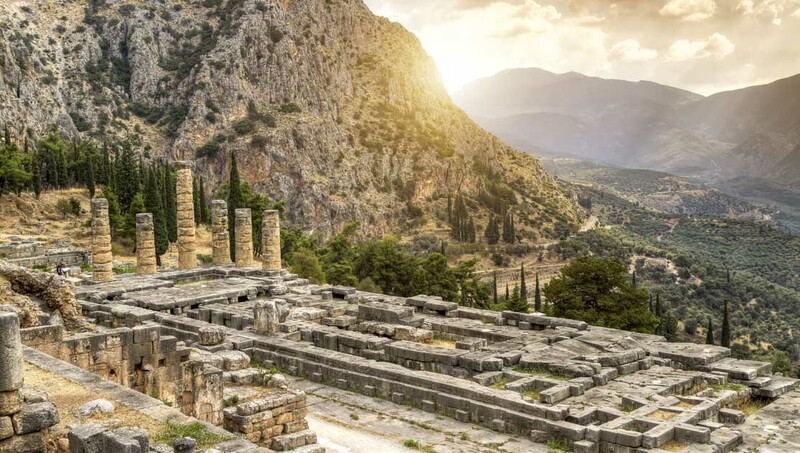 Though probably a divine site as early as in 1400 BCE it was a late 8th century BCE Homeric remark that described the oracle of Delphi as a very active place renowned for its oracular consultation. 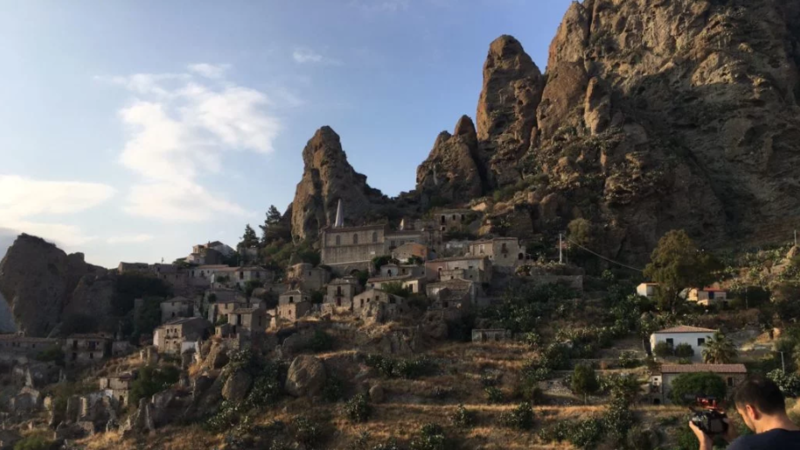 Yet the peak of its glory was from the 6th to the 4th centuries BCE, and then it slowly started to decline until it was completely silenced by emperor Theodosius I in 392 CE. Initially, the site of Delphi was a divine place of mother earth (Gaia), manifesting the oracular voice of earth, then of her daughter Themis, the oracular voice of divine law and a wife of Zeus, and finally of Phoebus Apollo who killed Python, the guarding snake of the site, and who in turn appointed a priestess, the Pythia, acting as his mouthpiece, committed herself for life to serve him. 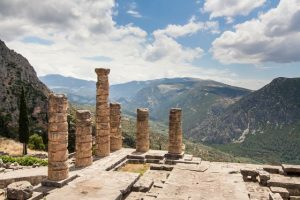 At the time of its glory, at the oracle of Delphi there were three priestesses serving the god, while a home was given to them by the Delphians to live in.